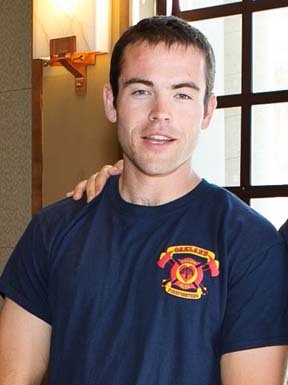 On August 17, 2017, Probationary Oakland Firefighter Jake Walter tragically lost his life in a senseless act of violence. Jake was passionate about his Community and helping people. To carry on Jake's legacy of giving, a scholarship fund has been established in Jake Walter's name to help pay tuition for deserving students in need to attend the Chabot College Fire Technology Program and to help purchase gear and supplies. Thank You. Donate 100% - Add 3% so that 100% of the donation goes to Oakland Firefighters Random Acts - Jake Walter Scholarship Fund. Oakland Firefighters Random Acts - Jake Walter Scholarship Fund has partnered with Network for Good to securely process your online credit card payment via Network for Good (tax ID 68-0480736). This transaction will appear on your credit card statement as "Network for Good." This transaction is subject to Network for Good’s Privacy, Security & Disclosure Statement and the Charitable Solicitation Disclosure.